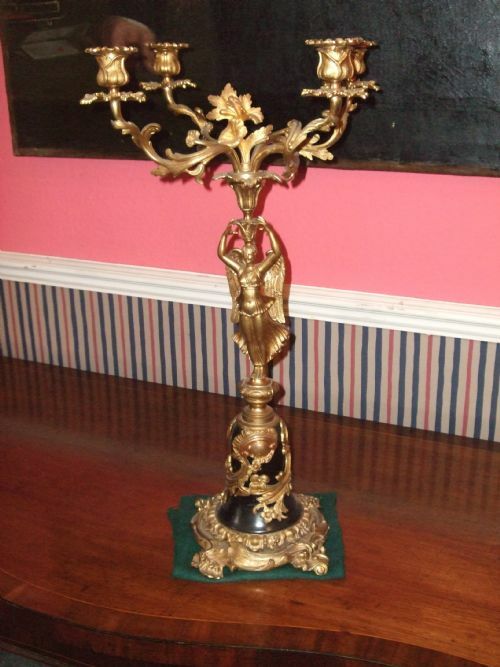 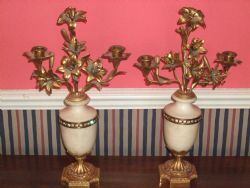 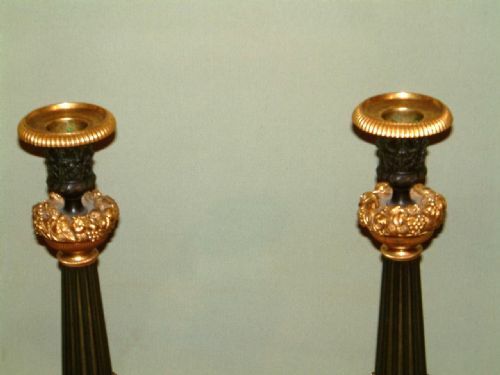 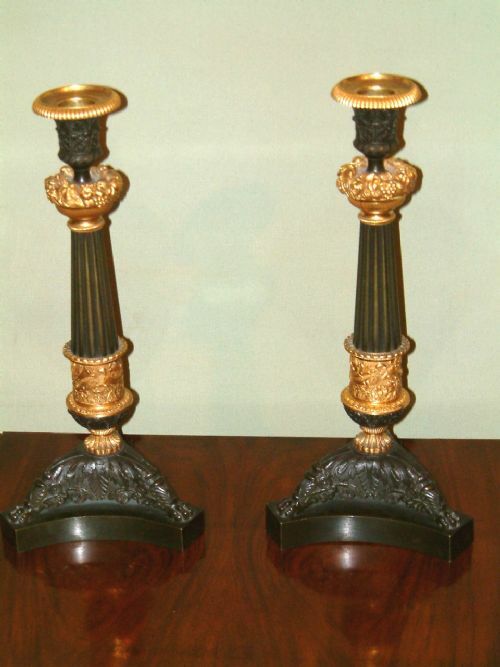 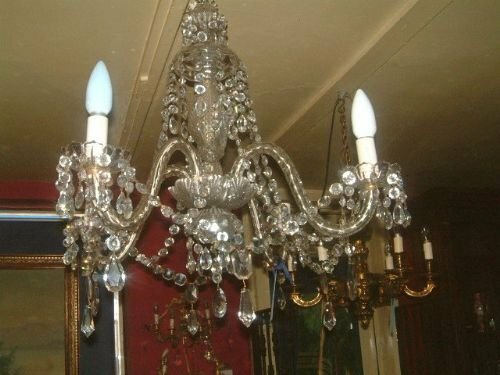 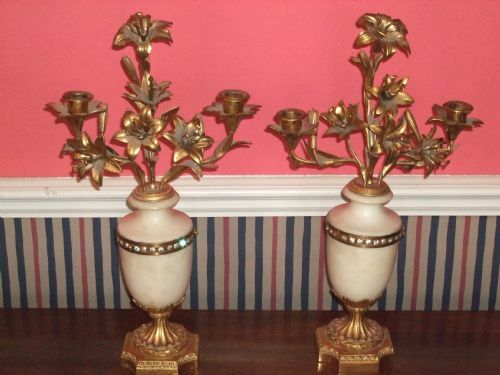 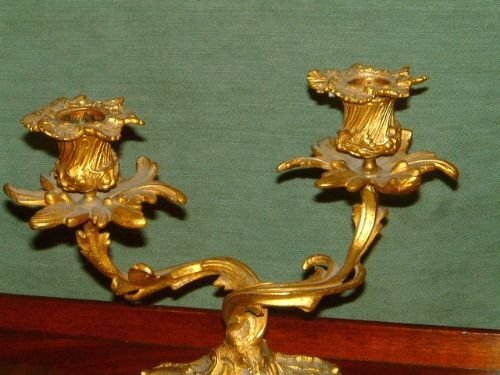 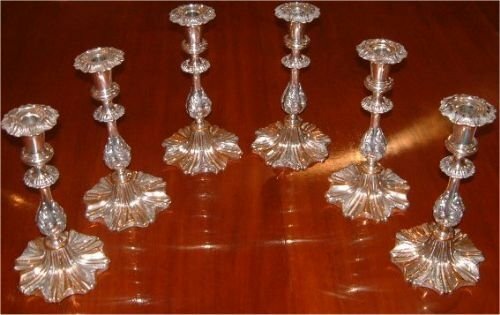 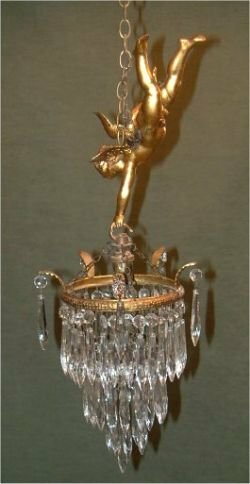 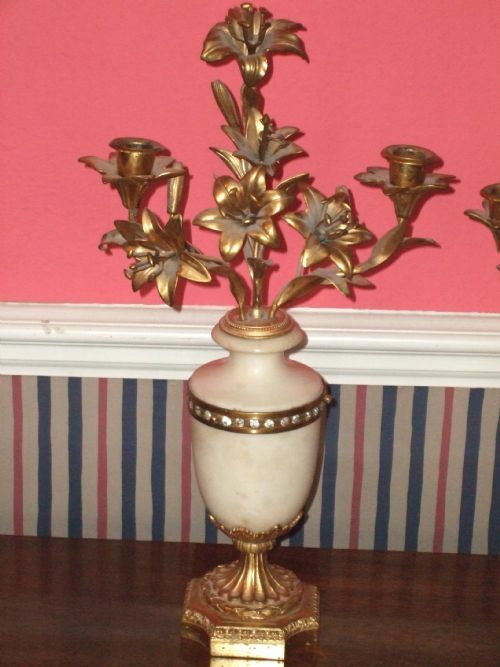 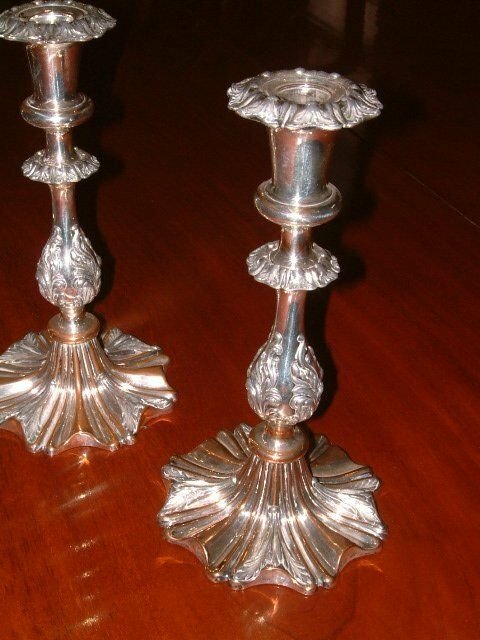 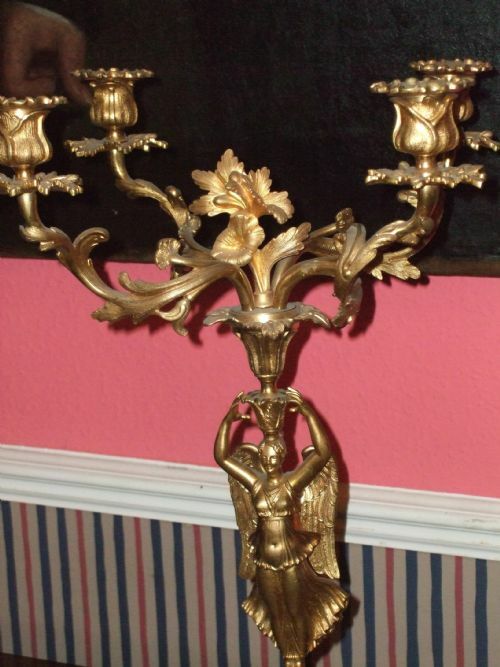 Pair of 19thC Gilt Metal & Alabaster Candelabra with Inset Crystals. 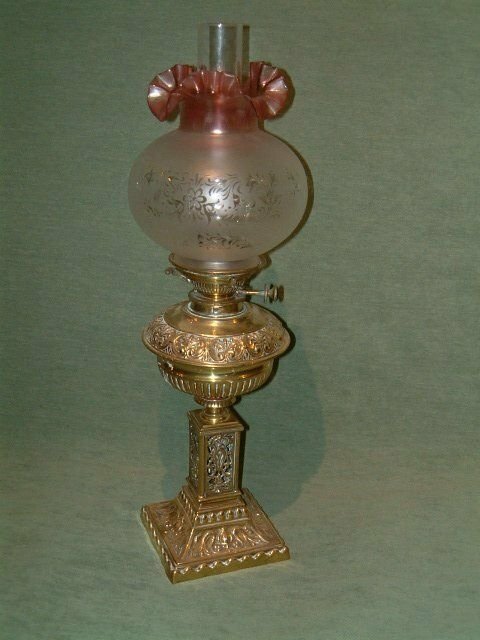 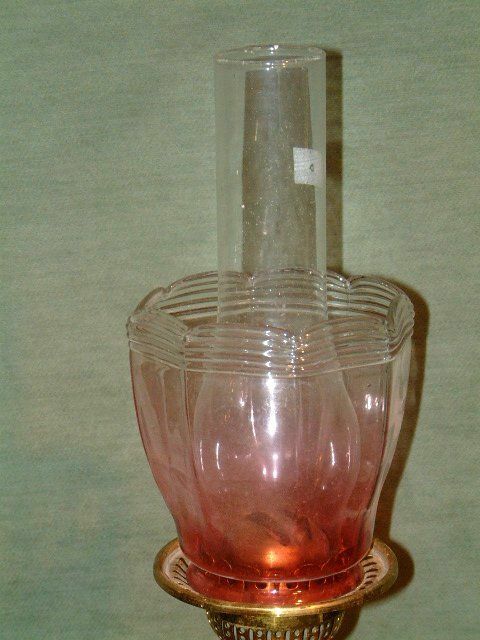 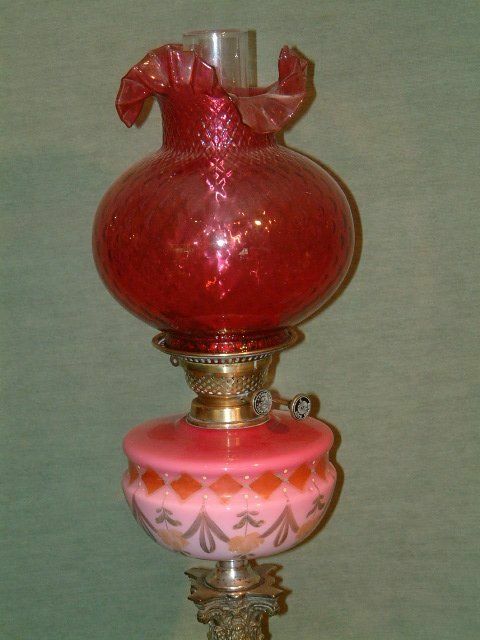 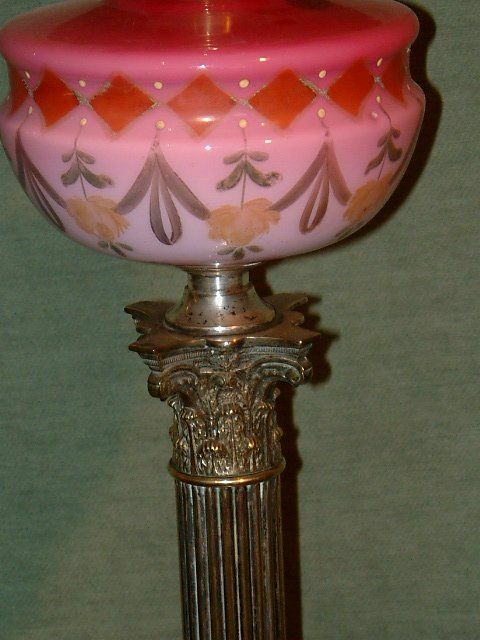 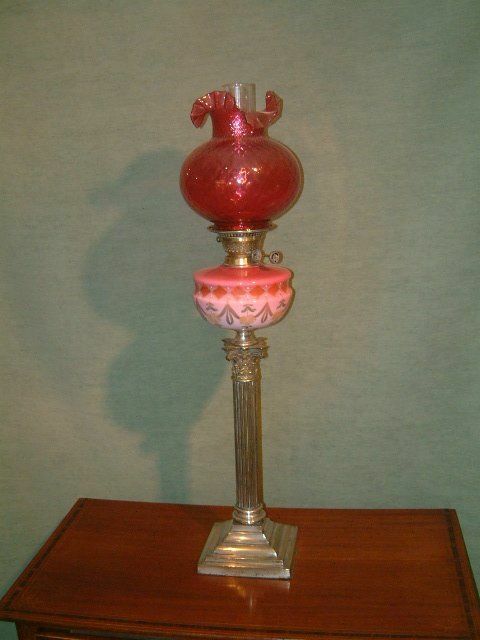 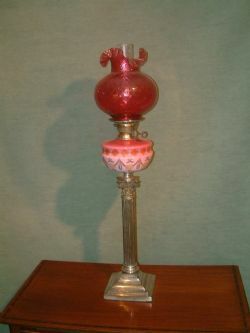 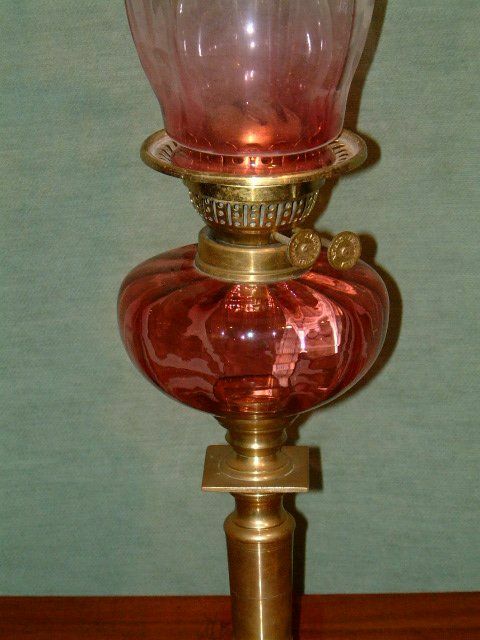 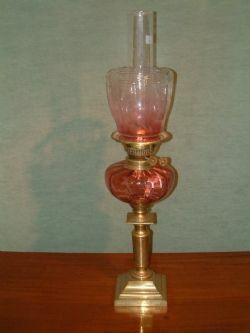 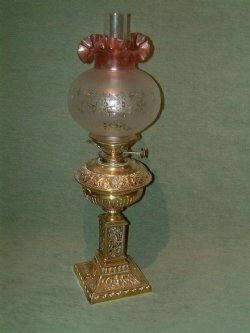 Victorian Cranberry Glass Brass Corinthian Column Oil Lamp. 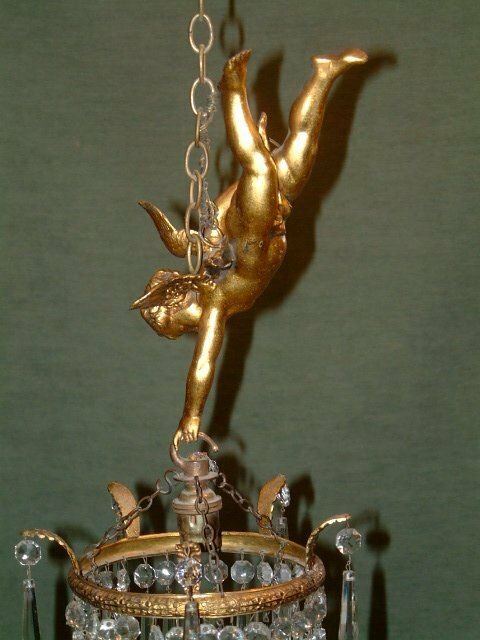 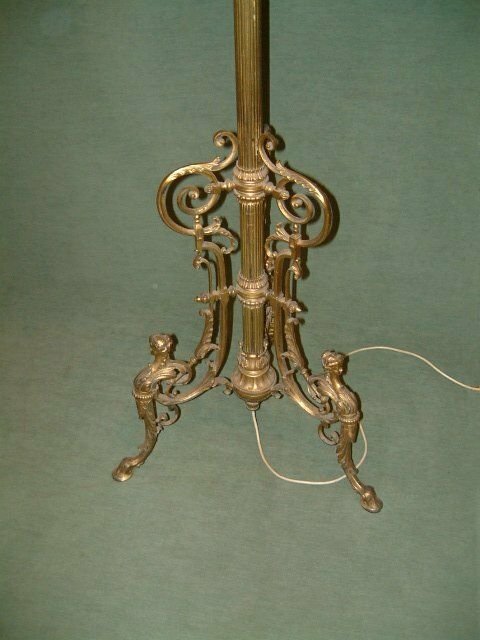 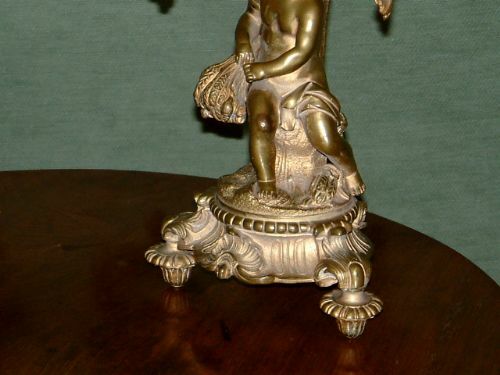 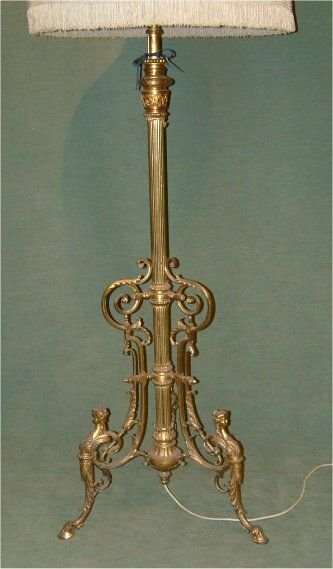 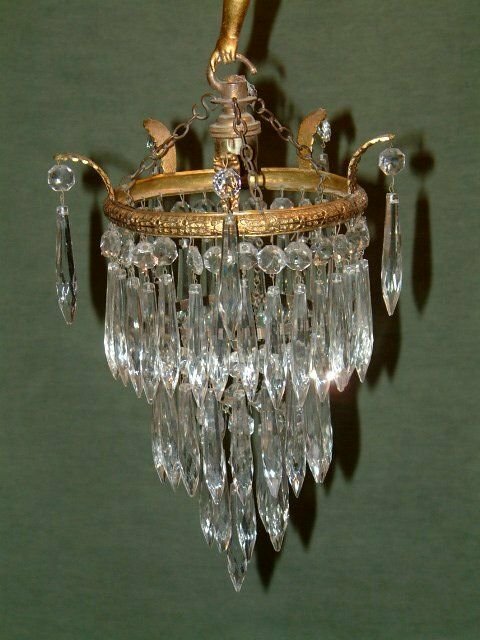 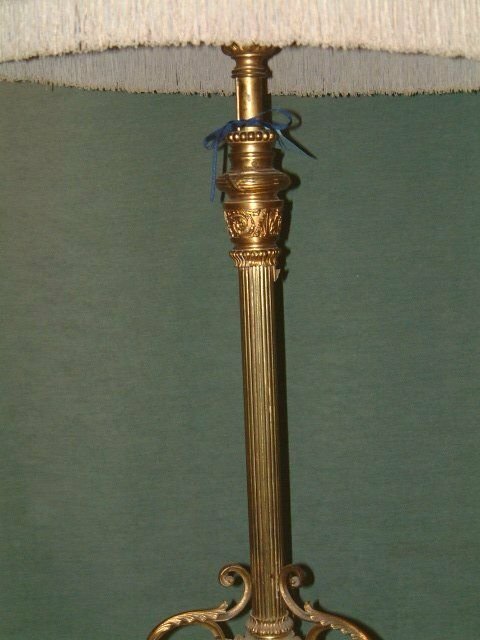 Edwardian Adjustable Brass Standard Lamp with Shade. 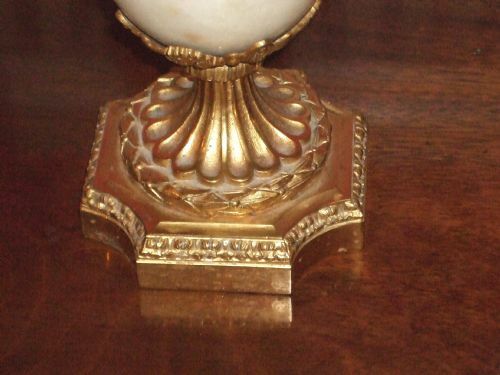 Good Detail to the Base, Shade a bit tatty. 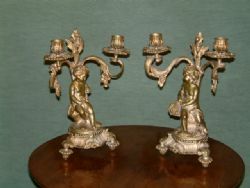 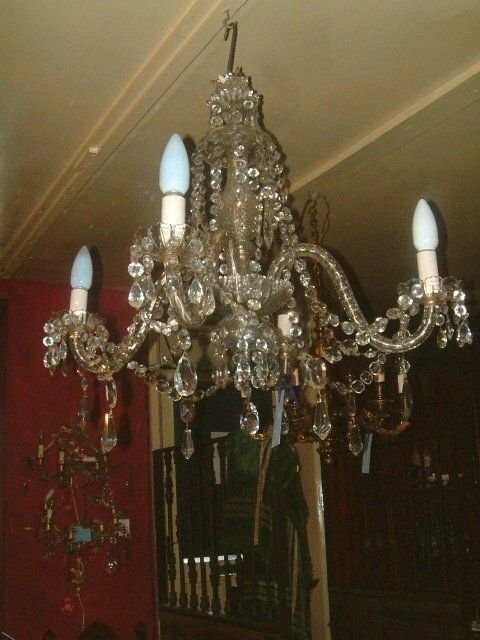 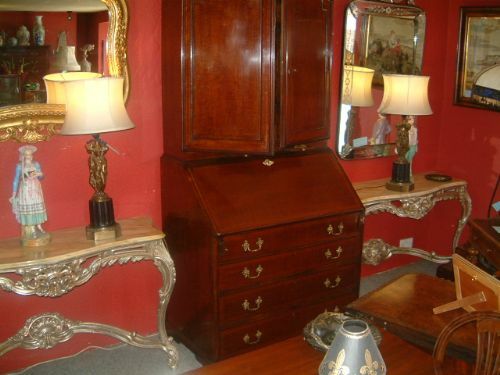 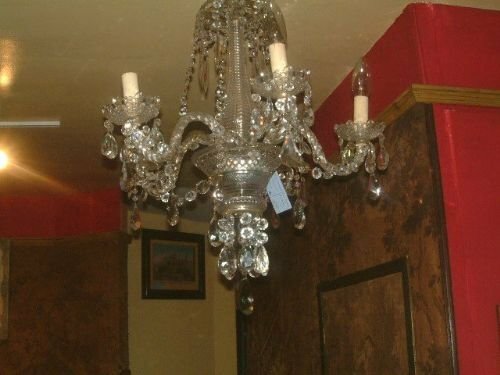 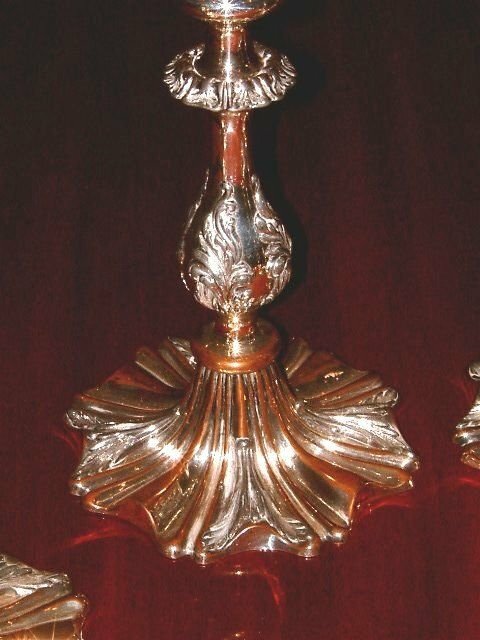 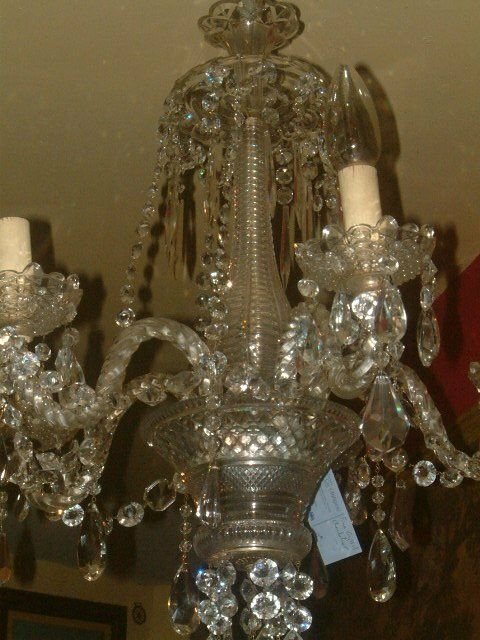 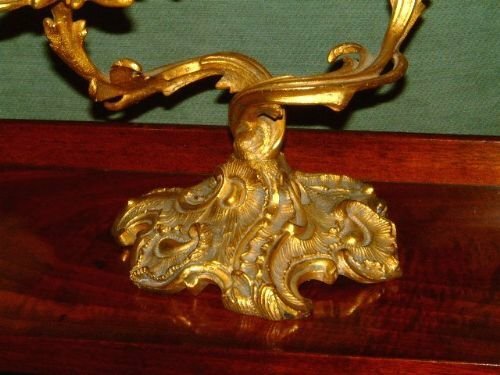 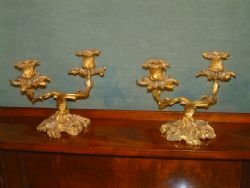 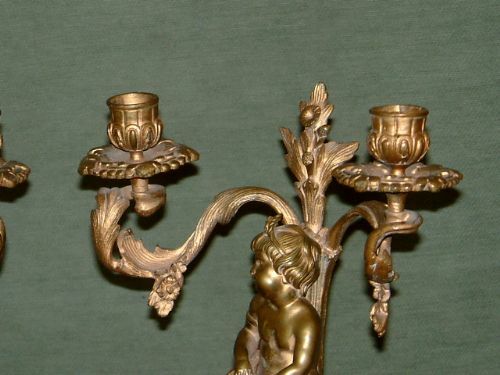 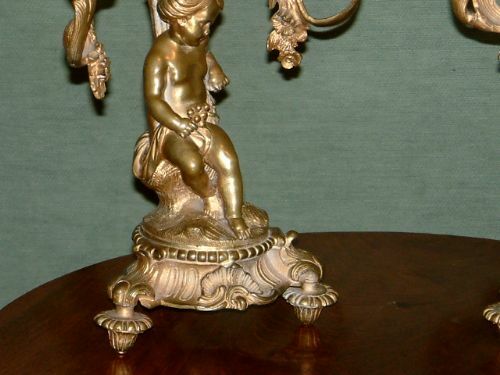 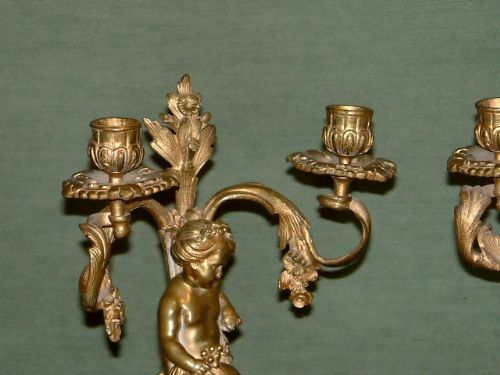 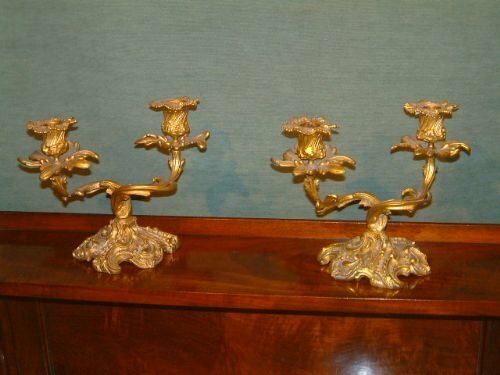 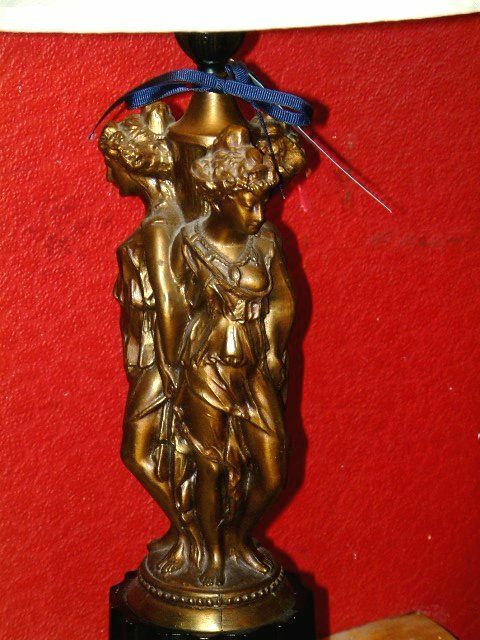 54" extending to 79" High, width at base 21"
Pair of Mid Victorian Ormolu Candelabra, the Sconces Supported by Cherubs. 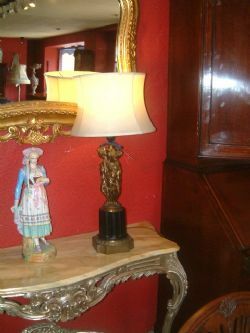 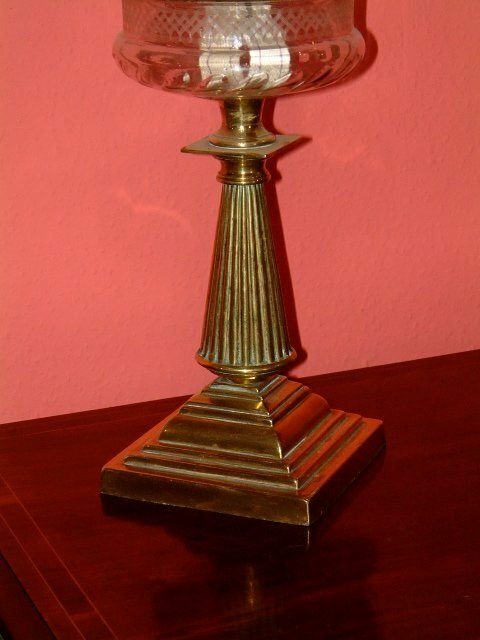 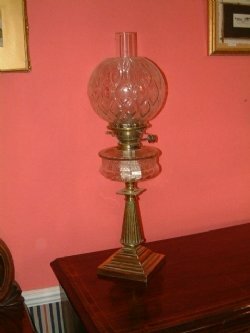 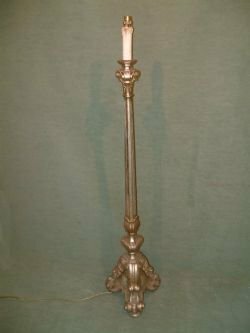 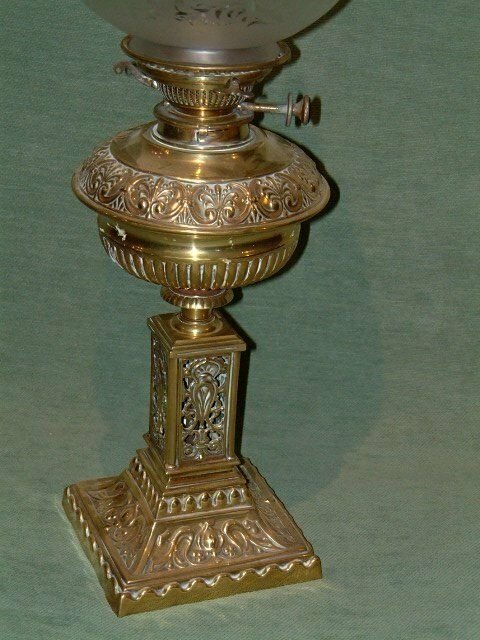 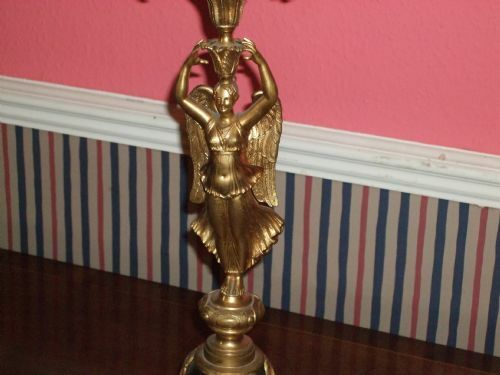 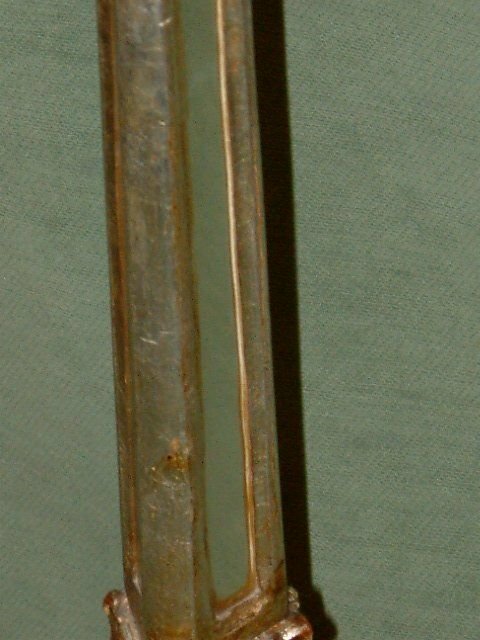 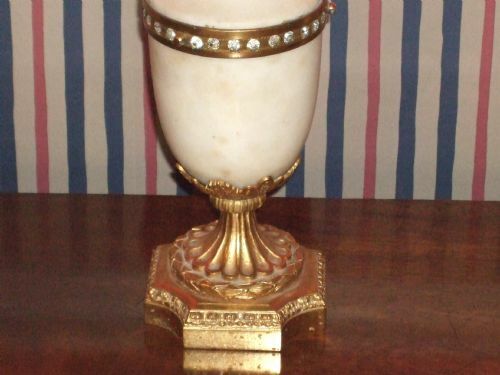 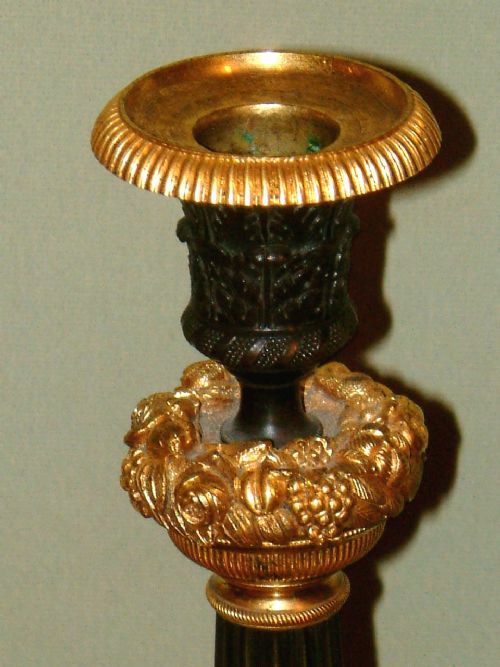 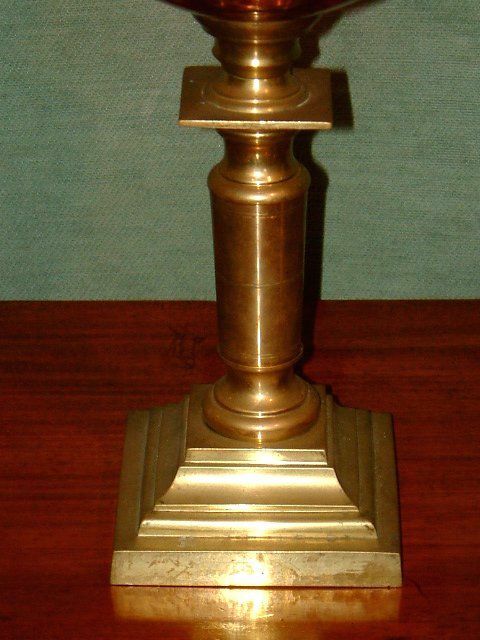 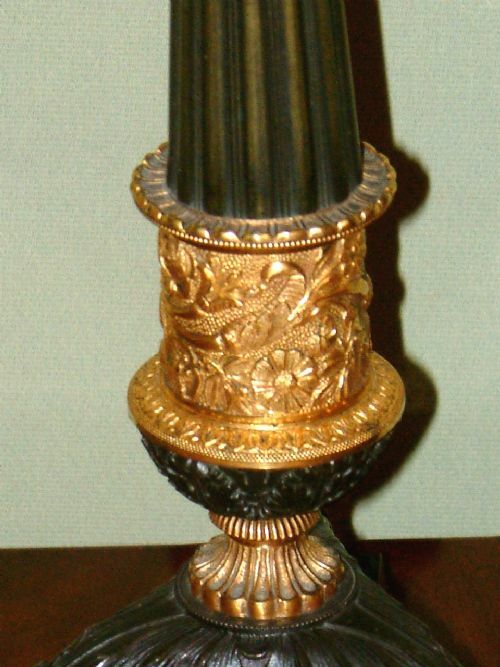 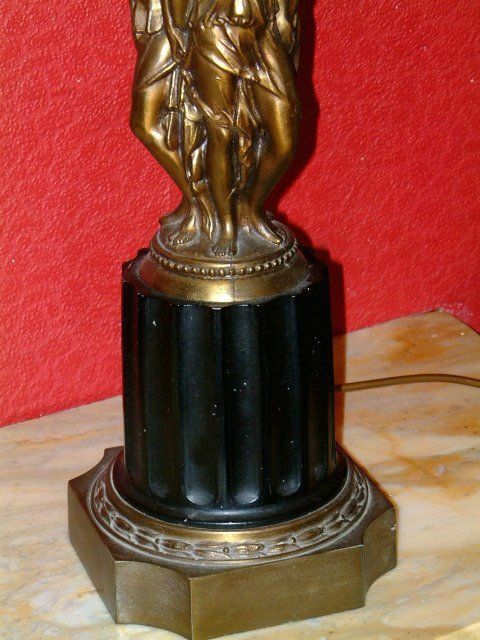 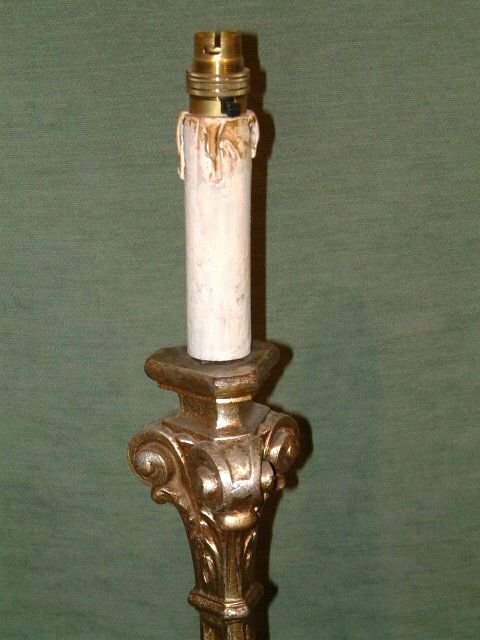 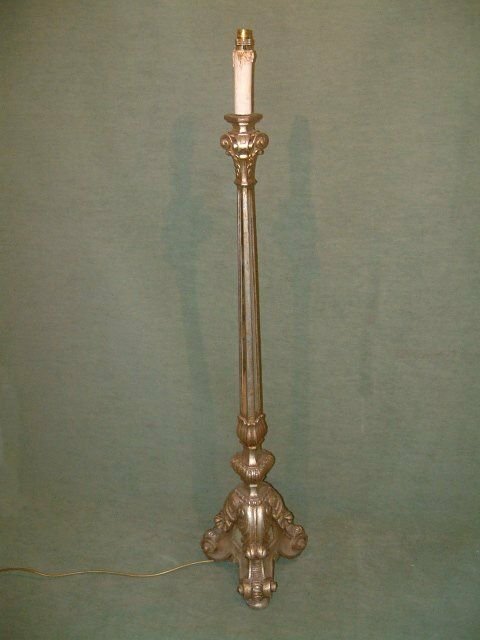 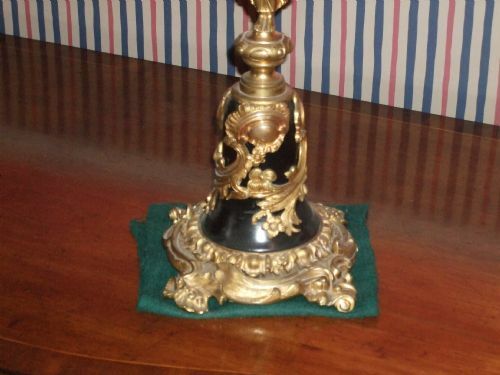 Victorian Oil Lamp on Brass Reeded Column with Cut Glass Reservoire. 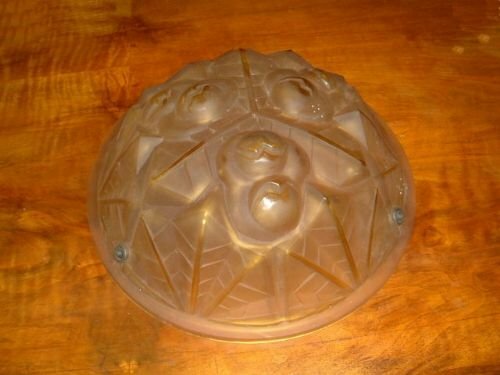 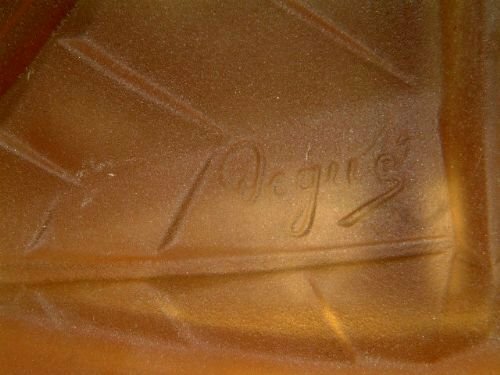 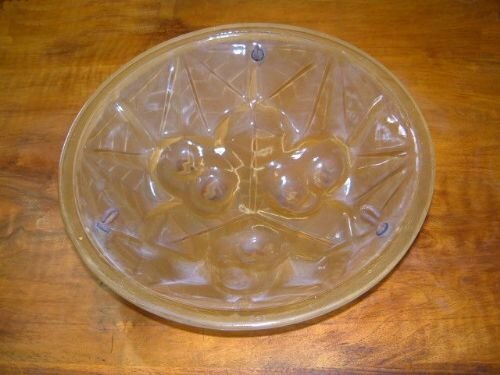 Art Deco Glass Lampshade Signed " Degué "
Art Deco Glass Lampshade Signed " Degué " & with Impressed numbers "557"
In good condition with later shade. 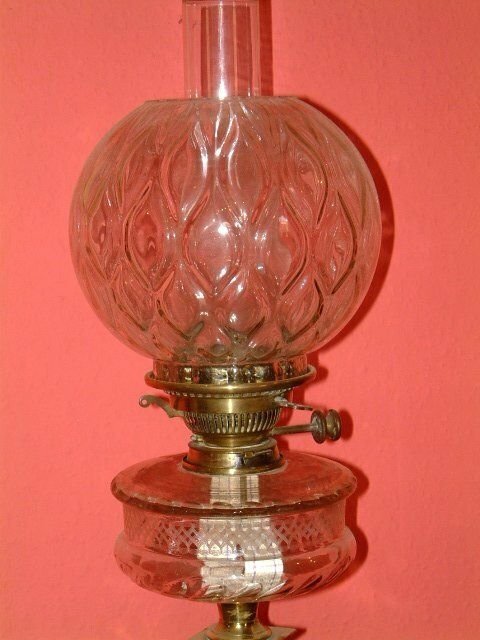 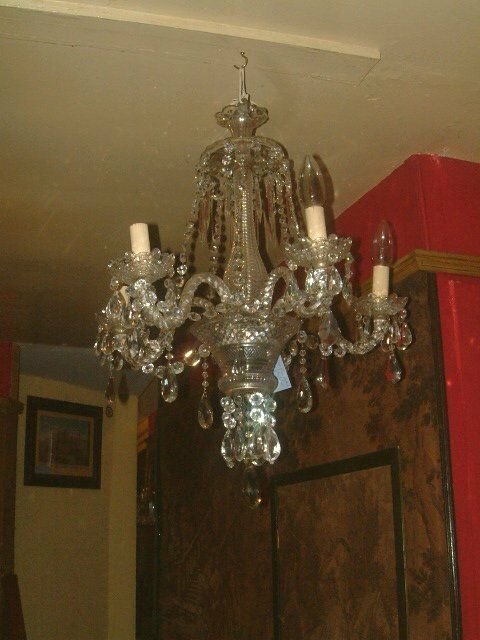 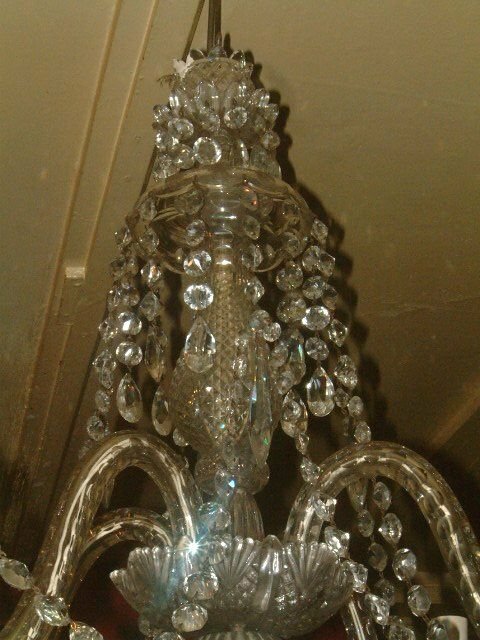 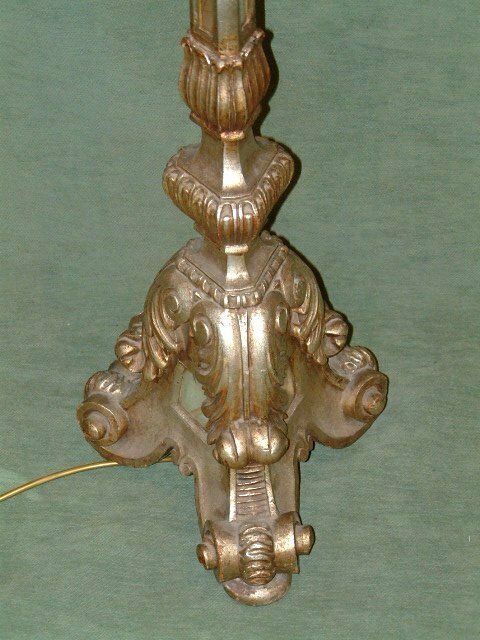 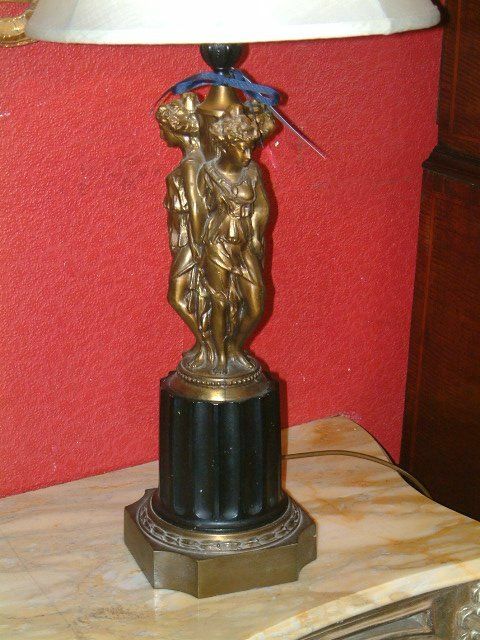 1920's Silvered Wood Standard Lamp with Glass Inserts .